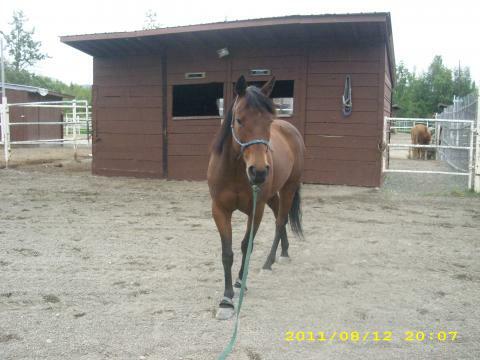 My mare was originally a rescue. She grew up in her own manure for 6 years in a dog run. 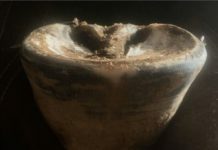 She didn’t develop a strong coffin bone. She had a non-existent heel and was a barefoot nightmare. She was horrendously tender, so she was resorted to shoes. But she was still lame. 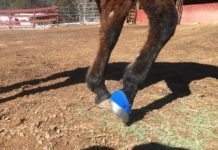 So last April, we began barefoot treatments to help her build up. But, she was lame. 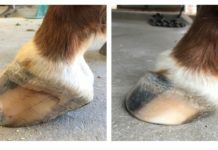 Many doubted our thoughts to go barefoot, until our farrier suggested Easyboots. We first started with Easyboot Epic. We were amazed with the outcome, but it was difficult for us to co-ordinate, especially for the kids, so we bought the Easyboot Gloves, and will never go back. Our (now my daughter’s) horse is now able to gallop, jump, and they have built such a bond. It’s wonderful, and I thank the EasyCare company.